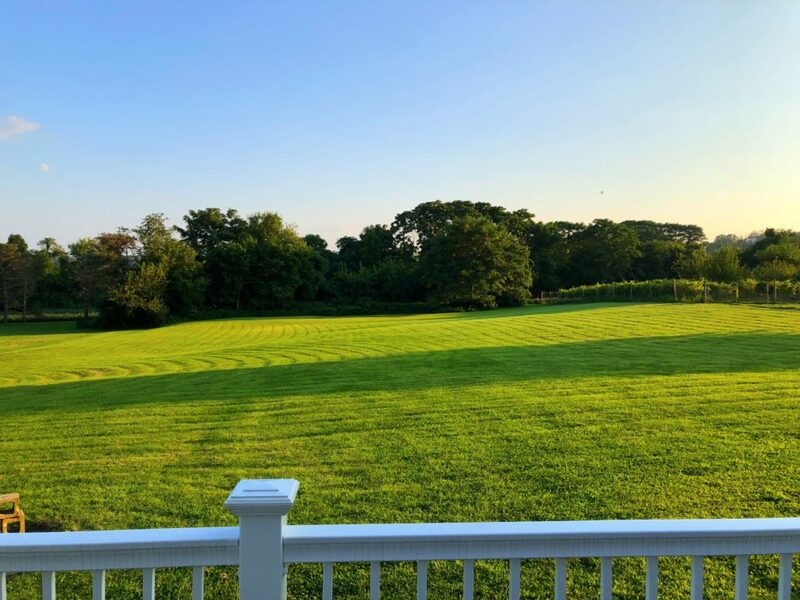 Britannia Farms is situated on two acres in the hill and valley farms of Washington, north west New Jersey – the Garden State. 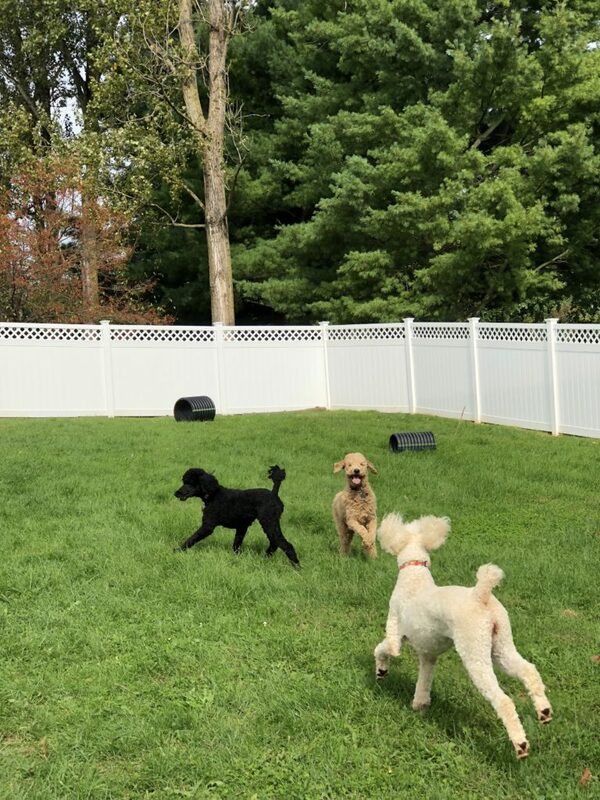 Our dogs have a completely fenced large dog run with the shade of a huge pine tree to relax under. We have a modern and fun kennel area with a bathroom for visitors and grooming facilities to hand. 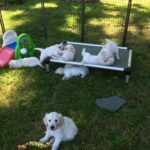 We use exclusively Kuranda Beds for our dogs. 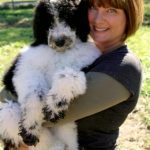 Helen with Darcy as a puppy. Britannia Farms is Helen’s dream come true. The family dog growing up near London in England, was naturally an English Golden Retriever named Honey who lived to the ripe old age of 14 years. Helen has traveled extensively across Asia Pacific, living in Japan and New Zealand, settling in USA over 25 years ago. 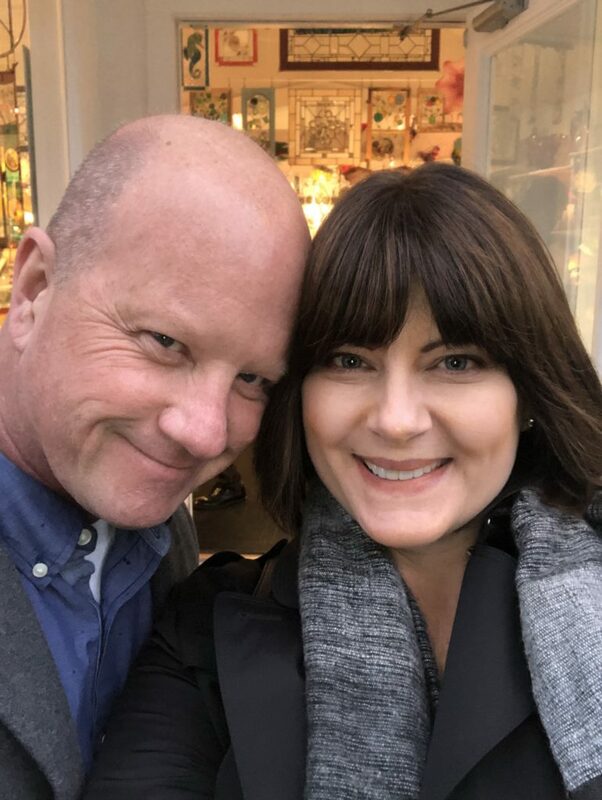 With a medical background that started with nurse training in England many years ago, Helen always dreamed of being a midwife and delivering babies. The traveling and having her own babies put training on hold, but who would know it would be a canine baby that diverted her medical career? 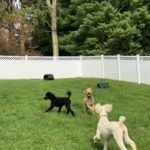 A deep love of dogs took her to volunteer at the Seeing Eye’s Stabile Clinic in Morristown NJ in 2004 before realizing her own dreams of beautiful dogs and puppies of her own. The medical background has given her a good perspective on the health and integrity of the breeding dog. All breeding dogs should be health tested for the conditions that are common to their breed, so as to lessen the risk of passing that condition down to generations to come. 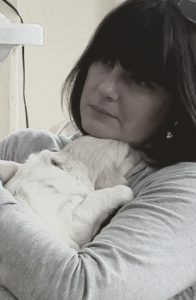 Her philosophy is that you will fall in love with your puppy and you want your dog to live to a good age, and not suffer with any health issues. Lessen the risk by only breeding healthy tested dogs. 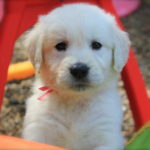 Helen says Britannia Farms stands by this belief to offer you a two year health guarantee on your puppy. All testing is available to see upon request. Hip and elbow testing along with cardiac and eye clearances are through OFA (Orthopedic Foundation for Animals) Additionally DNA testing through Embark. 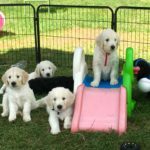 The Britannia Farms dogs are family pets. They are loved and interacted with all day. They are fed only premium dog food and supplemented with fresh eggs provided by our own chickens, and occasional fish and game as available. 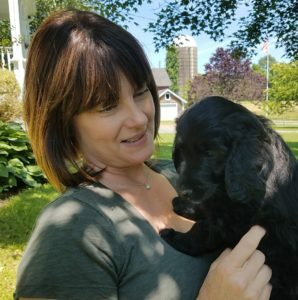 Britannia Farms pups are delivered by Helen at home (unless medical intervention is needed), with the support of her husband James, and close friends Chrissy (Dog trainer) and Tracy (former midwife and RN). Puppies are raised underfoot and attended to all day and night. They become familiar with household sounds around them as well as music. 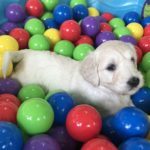 Early Neurological Stimulation (ENS) is given to each pup see our FAQ page for more information. https://www.britanniafarms.com/faqs/. Age appropriate socialization and exposure to many stimulii is on the daily schedule along with much love and cuddles. Socialization with people comes after 4 weeks of age, when their immune system is strong enough. 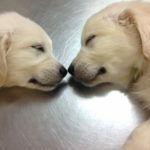 We do ask that you sanitize hands and remove shoes before visiting with them, and also do not visit other dog breeders prior to your visit here. We have to protect our babies. Please do not bring your own pets to the farm. 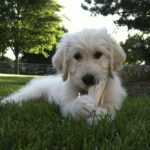 All of these factors go to produce healthy and happy puppies, the perfect pet for you. We have done the research and worrying for you, so relax and take a few minutes to browse our website. We hope you will ﬁnd all the information you need, please ask if you have any questions. Visits only by prior appointment. Email Helen to schedule a visit. This is the best job!